Rachael Ray joked that you may want to make a point to say the full name of this recipe before you start drinking. 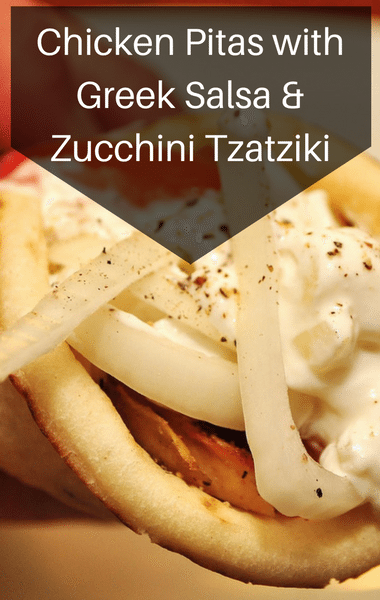 Because she replaced cucumber in her tzatziki, properly saying Zucchini Tzatziki may become difficult! But one thing that’s certainly not difficult is putting together this tasty meal! Rachael showed viewers how to prepare her Chicken Pitas with Greek Salsa and Zucchini Tzatziki. If you ask me, the toppings are what really make the pita pop, just be sure to really drain the zucchini like Rachael instructs, so you don’t end up with a watered down sauce! To find out how to put this dinner together, click next page!